Rug up for an early morning hunt through the misty truffiere with Jenny and Thomas. Following the hunt, you will have the opportunity to taste, smell and handle freshly harvested truffle before sating your appetite with a truffle infused brunch. 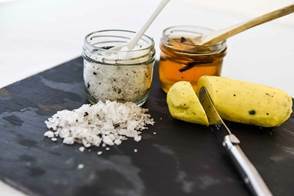 Think truffle butter on toast, dripping with truffle honey or truffled scrambled eggs with bacon. Truffle and products will be available for purchase.